Buying a used car in Belfast, or anywhere in NI for that matter, has changed in recent years...perhaps a great deal since the last time you shopped for your next car. Dealers don't have the margin they used to enjoy, but ask anyway...what's the worst that could happen? With the market so transparent now, due to the internet, there's less room to negotiate. We've also seen the emergence of car supermarkets, even more-so beyond Belfast in the mainland UK, and there are more fixed price cars which normally have an additional 'admin fee'. Therefore, you're actually paying more than the advertised price not including travel expenses etc but the attraction is the lower advertised price for the car. There tends to be few, if any, salesman at these dealerships as the cars are fixed price so there are no negotiations and the dealerships work on volume of sales with hundreds of cars available for sale. In comparison, at AutoQ we sell a hand-picked selection of around 50 used cars on your doorstep. Like most transactions, there are pros and cons to this and with this type of buying, you'll find it less personal...more of a quick process with typically less loyalty from either party than the experience you might be used to when buying a used cars in NI. Still, always ask and if there's room for it, no doubt you will receive a discount no matter how small. Everyone loves a deal! Do your homework! Research suggests that on average it takes a customer 19 days from point of first visit to www.autotrader.co.uk to completing a sale. Everyone does it - whether buying a new tablet, mobile phone, car or house - people do their initial research from the comfort of their own home online, where they narrow their options down to two or three options before they venture out to make direct comparisons between the shortlist. Buying a used cars, including here in Belfast, is not quite the same as a mobile or electronic purchase as these items should be identical and the reason to purchase those is more price driven. There are so many factors to consider when comparing a used cars, and at this stage of the game I would not advise to do so without seeing the car first. No two used cars will be the same...a scratch, a blemish, tyre condition, service history (main dealer/independent) will always be slightly different. Some dealers will refurbish alloy wheels, paint bumpers for minor scratches and sell the car in the best possible way for presentation of a used car. Some dealers don't want to go to that expense or will take a shortcut to try and sell it with the minor blemishes but hopefully at a discounted price. The questions I would ask are: if the dealer is taking a shortcut here, where else has he/she taken a shortcut? Have they decided not to replace the brake pads and leave it for you in a month or so after buying the car? Have they changed the timing belt in line with manufacturers recommendations? Has the gearbox oil change been done at the correct mileage? When they say they have serviced the car, have they done a quick oil change or have they replaced the other periodic components such as air filter, pollen filter, glow plugs, spark plugs etc? With the world becoming more and more digital, there are various systems and websites available now to the consumer to do their homework on buying a used car. For buying a car, customers can check the various websites such as usedcarsni.com and autotrader.co.uk, ebaymotors.co.uk etc to see what is available on the used car market and at what prices. You can check reviews on the car itself from What Car etc and check online for MOT history on UK cars. The good dealers will have already done their homework and checks on the car but if it's from a home trader or private seller, do your own checks. There's HPI to check, to see if a car has been stolen, has existing finance on it, been in a major crash or has been ordered to be removed from the road. All dealers should HPI cars and it is their duty to disclose any detrimental information found on this search. Also do your homework on the dealer and their standards of presentation. What are their processes, length of MOT's, warranties, reputation and time in business. This way you'll get a better feel for the car or the environment in which you may be buying a car. Do they have a social media page? Are they forward thinking moving with the times? Check their reviews across the board on Google, Facebook, Yell and more. Do you have any friends who follow their social media accounts? Ask them for advice or recommendation! Do they have a 'meet the team' page so you can see who you may be dealing with or who to expect when you get there? Also, do your homework on your part exchange: you can get an online valuation from www.webuyanycar.com or use Autotrader's valuation tool (as below). This way you know what to expect valuation wise and there will be no shocks. Be realistic with the part exchange value, remember that anything - whether it's cars, houses, second hand sports equipment - the item only worth what someone is prepared to pay for it. We see it every day, when people with expectations that they can get the same value for their trade in as what a dealer is asking for the same car on a forecourt. Consider a dealer's point of view: to take a part exchange they need to do the aforementioned preparation work to a car. This mean's a 103 point check in the workshop by a trained mechanic with specialist equipment, those little scratches may need to be attended to by painting a bumper/door and then there's tyres, servicing, MOT preparation. Once prepared for the forecourt, there are advertising costs, storage costs and insurance costs associated with each vehicle before 20% VAT has to be paid on any profit and a small commission to a salesperson, if that's how the dealership works. And this is all before they can be left with any profit to keep the business in business. Without boring you, these are some points to reflect on before considering the part exchange price and your expectations as a private seller, especially when compared against the price you'll see cars being sold for online. And with the market for used cars in Belfast being ever-competitive this gives some idea of the broader picture for the industry. If you are selling your car privately, consider what it is you are looking for in the search for your new car. How much of a difference does their need to be in price for you to consider buying privately as opposed to from a dealer, then apply that principle to your own private sale. Imagine buying a car from a home dealer or 'Fred in the shed' without their own workshop? Imagine, then, that within the first few weeks the car develops an issue/fault. You call the dealership but they have no workshop so they have to call their 'own mechanic' to see when they can book it in and they offer to call you back. After various phone calls, the car is booked in and then you leave it in and the diagnosis comes but who authorises the work and who pays for it, do you phone the mechanic or the dealer, does the mechanic then phone the dealer and you wait for him to call you back? Then we have to consider that this mechanic/workshop have their own customers and they come before this dealer's i.e. you, therefore your car is down the pecking order. I doubt the workshop will have a courtesy car available as technically you're not his customer so you may be without a car in the interim. Can you see the complications? Affiliations with major finance houses and other associations like AA, RAC are normally a good sign that the dealer is vetted thoroughly and has been doing this legitimately for a considerable length of time. 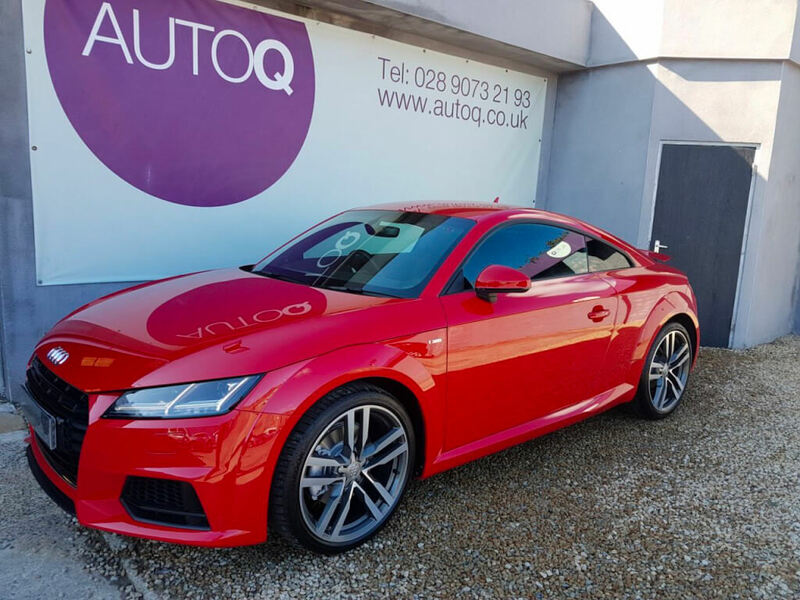 At AutoQ, we have been selling used cars, in Belfast for decades and aim to make you an addition to the group of people, who make up the majority of our custom, we are proud to call our repeat customers. Some have been buying used cars from Auto Q for generations. We try to be self sufficient and have all our own facilities on site - servicing, mechanical repairs, wheel alignment, tyres, air conditioning, alloy wheel refurbishment, window tinting, bodywork, courtesy cars and just plain old expert advice. 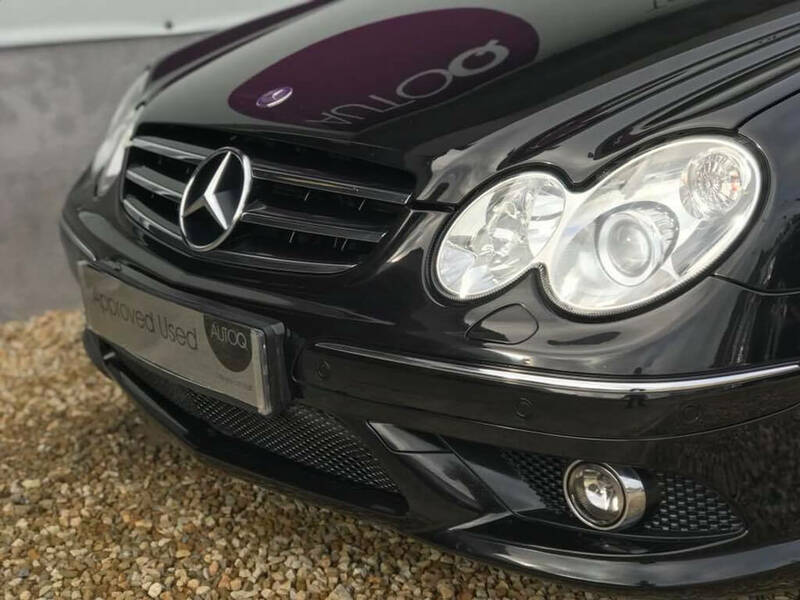 This means, if you have any issues with your car we can help you our own site without having to send the vehicle out elsewhere, we have control over keeping high standards for you at all stages. We also offer hassle free MOT where we organise EVERYTHING for you, including another reminder next year to let us pick it up and do it all for you again at no extra cost. We go the extra mile so you don't have to go anywhere else. New to AutoQ? We're a leading independent specialist for used car sales in Belfast. We can source the perfect car for your needs AND we may be able to sell your old car on your behalf. You can even apply for finance online.